The Essential Massage Practice Start-Up Kit allows new practitioners to quickly and easily set up their processes and promotions, so they can begin seeing clients right away. Brochure templates are digital products that you download and print yourself. Each brochure template comes with: a customizable PDF (the “outside”), which has the image and an editable text area for your specific information; a non-customizable PDF (the “inside”), which has most of the brochure’s content; and licensing and usage instructions. These 4 brochures cost $60.00 when purchased separately. Gift Certificates templates are digital products that you download and print yourself. Each gift certificate template comes with: a customizable PDF, which contains the image and gifting information; a large image file (2517 x 1158 px, 300dpi) to use with professional printing services; a small image file (680 x 313 px, 72dpi) for your website, presentations, emails, newsletters, or other digital communication; and licensing and usage instructions. These 5 gift certificates cost $50.00 when purchased separately. Professional, clean-looking, user-friendly, ready-to-print forms for massage and bodywork practices. Includes 22 forms to accommodate your recordkeeping preferences and practice orientation, such as wellness, clinical, energy work, or chair massage. Just add your practice information to the forms you choose, and print. The Client Intake and Recordkeeping Forms packet is a digital product (in PDF format) that you download. This forms packet costs $10.00 when purchased separately. Self-care handouts provide step-by-step instructions to support your clients after they leave your office. With these 51 handouts covering 8 client-education topics, you have wonderful tools to reinforce the work you do in your sessions. Just add your practice information to the handouts you choose, and print. The Client Education Handouts for Self-Care packet is a digital product (in PDF format) that you download. This handouts packet costs $20.00 when purchased separately. Marketing Communications for Massage Therapists simplifies the necessary task of taking care of business by providing professionally written examples of correspondence: emails, letters, announcements, and press releases that accommodate your needs. This kit includes 150 professionally-written, customizable letters for immediate use in digital or print formats. Marketing Communications for Massage Therapists is a downloadable PDF file. This kit costs $10.00 when purchased separately. The TRAVELER Appointment Book is water-proof cover, spiral bound, and comes in 3 different colors. Inside the planner you will find appointments with 15-minute increments, 8:00am to 8:45pm 7 days-a-week, 2-page layouts of each month, receipt envelope, business mileage ledger, muscular system chart, continuing education ledger, client ledger, gift certificate ledger, weekly quotes, and more. MassageMinder© Appointment Books are handmade fresh daily in Kalamazoo, Michigan. Your choice of 2 sizes, either 8.5x11 or 5.5x8.5. 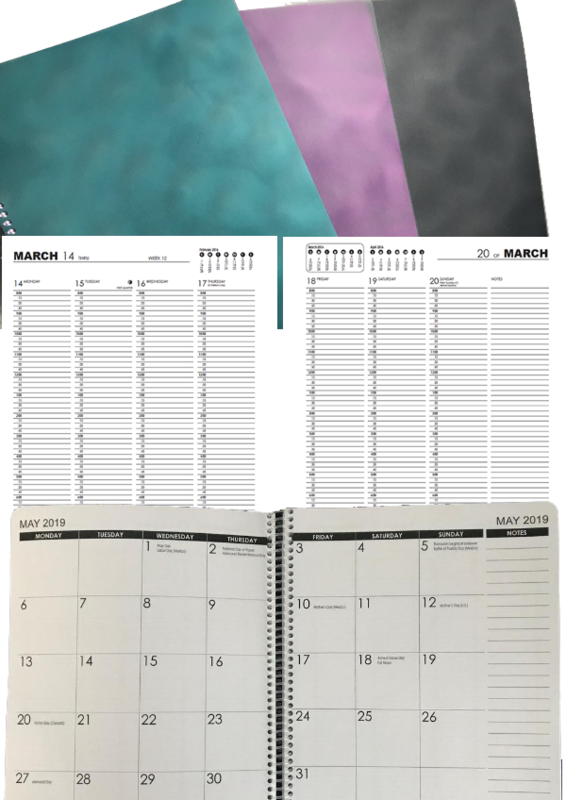 The Appointment Book/Planner is provided by MassageMinder©, and costs $30.00 if purchased separately. *This item ships separately from MassageMinder. Purchasers of the Start-Up Kit receive a discount code to use on the MassageMinder website, good for the cost of the planner plus U.S. shipping ($38.00). Additional shipping and handling charges may apply for planners shipped outside the contiguous 48 states.